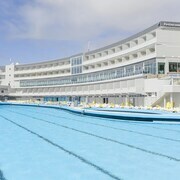 Situated by the sea, this hotel is 0.1 mi (0.1 km) from Macas Beach and 1.3 mi (2.1 km) from Grande Beach. 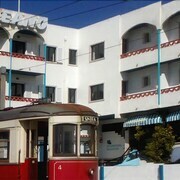 Magoito Beach is 3 mi (4.8 km) away. 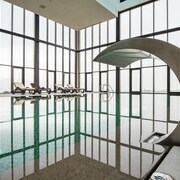 Hotel was elegant and very tastefully decorated. Staff was helpful with directions. Welcome glass of Port was delicious. Room and bath were spacious. 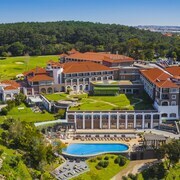 Which hotels are closest to the Sintra airport? Where to stay near top Sintra attractions? What kind of hotels are in Sintra? 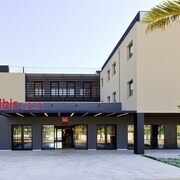 Which hotel chains are in Sintra? History buffs will enjoy exploring Sintra, and visitors give high marks for the beautiful gardens. This tucked away city also attracts tourists with its cafés. Top sights in the city include Quinta da Regaleira, Sintra National Palace, and Moorish Castle. The city is notable for its historic sites and landmarks like Quinta da Regaleira, Sintra National Palace, and Moorish Castle. Other notable sights to explore include Pena Palace and Queluz National Palace. 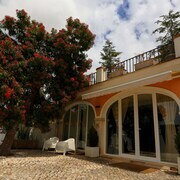 The Biester Charm House Sintra - This 4-star country house features free breakfast, free WiFi, and free parking. It's a favorite with Expedia travelers for its breakfast and helpful staff. 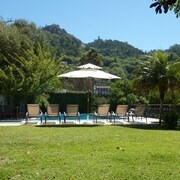 Chalet Saudade - Our customers like the local sightseeing and clean, comfortable rooms at this guesthouse. 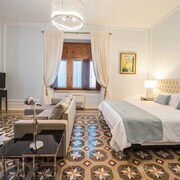 With a stay at this 3-star guesthouse, guests can enjoy access to a restaurant and a rooftop terrace, along with free WiFi. 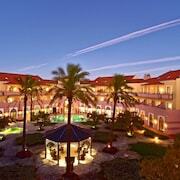 Tivoli Palácio de Seteais - This 5-star hotel features a full-service spa, a restaurant, and an outdoor pool. Top places to see around the area include Castle of Sao Jorge, located 15.3 mi (24.6 from the heart of the city, and Guincho Beach, which is 6.1 mi (9.9 away. 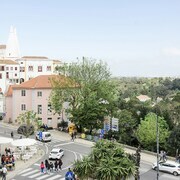 Sintra is an urban neighbourhood that's popular for its restaurants and bars. The neighbourhood's architecture, friendly people, and small-town vibe are just some of its charming qualities. Many visitors come to enjoy the natural beauty of the riverfront. 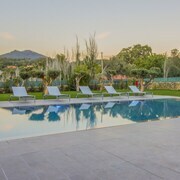 Start by booking your hotel in Sintra, and then enjoy the sights in the greater Barril de Baixo area. The monuments and historic sites offer insight into the area's history, while the museums add a sense of refinement. Browse the collections at Air Museum, Modern Art Museum of Sintra, or Anjos Teixeira Museum. Sights like Olga Cadaval Cultural Center, Sintra Science Center, and Sintra Toy Museum offer insight into the local culture. Monuments like Sintra National Palace, Sao Martinho Church, and Moorish Castle are well regarded. 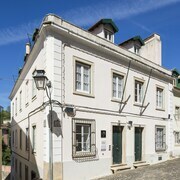 Learn about the local history at Gunpowder Museum, Paula Rego Historical House, and Cascais Citadel. Take a tour of campus around University of Lisbon, Instituto Superior Tecnico, or Piaget Institute. Hours of family fun are waiting at Vasco da Gama Aquarium, Lisbon Zoo, and Ajuda Botanical Garden. You'll find the great outdoors at parks like Pena Park, Cape Roca, and Cascais Hipodrom. Explore nature at Adrenunes Dolmen, Boca do Inferno, and Tapada Nacional de Mafra Park. Quinta da Beloura, Lisbon Sports Club, or Estoril Racetrack will provide yet another welcomed diversion. Some of the area's most popular sights are Castle of Sao Jorge, Quinta da Regaleira, and Pena Palace. 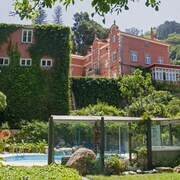 Guerreiro Statue, Monserrate Palace, and Capuchos Convent are also favourite places to visit. At 21.1 km (13.1 miles), Lisbon (LIS-Humberto Delgado) is the closest major airport to Sintra. 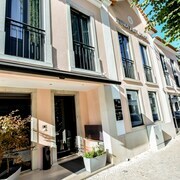 What are the most popular hotels in Sintra? Are there hotels in cities near Sintra? 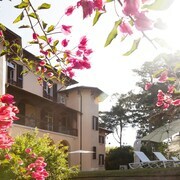 Explore Sintra with Expedia.com.au’s Travel Guides to find the best flights, cars, holiday packages and more!